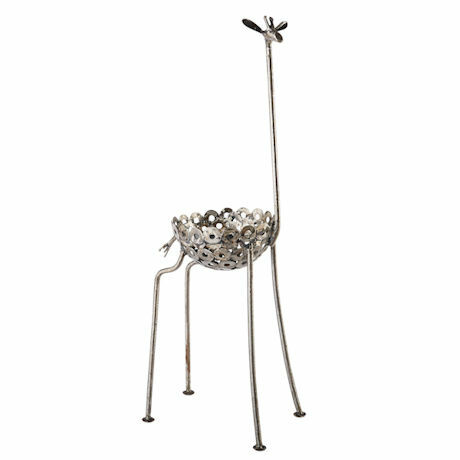 Artisans in Kenya craft each giraffe by hand from salvaged and recycled metals. Each is loaded with personality. 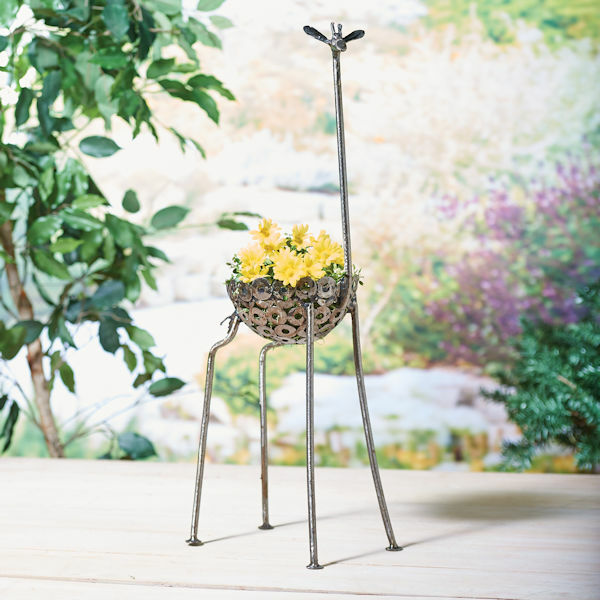 Use outdoors as a planter, indoors to hold any number of things. About 26" high. Basin is 8" diameter.